Israeli soldiers abducted, on Tuesday at dawn, five Palestinian men from their homes in the West Bank governorates of Hebron, Ramallah and Qalqilia, during violent invasions and military searches of homes. In Hebron, in the southern part of the occupied West Bank, the soldiers abducted a former political prisoner, identified as Shehda Amro. 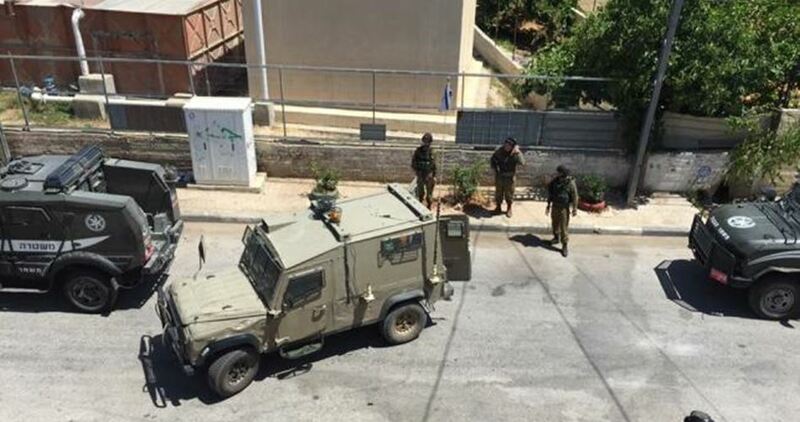 The soldiers also invaded Beit Ummar town, north of Hebron, before storming into the home of former political prisoners Sufian Zaki Bahar, 42, and Ala’ Mousa Za’aqeeq, 25, and summoned them for interrogation in the nearby Etzion military base and security center. In related news, the soldiers claimed to locate a “Carlo” gun during searches in Yatta town, south of Hebron. In addition, the army searched homes in Ramallah, in central West Bank, before abducting Jad Fahed Barghouthi, Ala Husam Rimawi and Sharhabeel Bustafa Salama, from their homes in Beit Rima town, and al-Jalazoun refugee camp. In Qalqilia, in northern West Bank, the soldiers searched homes and abducted Mustafa Radwan. Palestinian prisoner Ameer As’ad, held in Israeli jails since 2012, has been on an open-ended hunger strike for the 55th day running. According to the Prisoners’ Commission, As’ad, from territories occupied in 1948, started his hunger strike to protest his abject detention conditions in the Israeli Gilboa lock-up. Wheelchaired As’ad raised the alarm over his need for an accessible toilet. 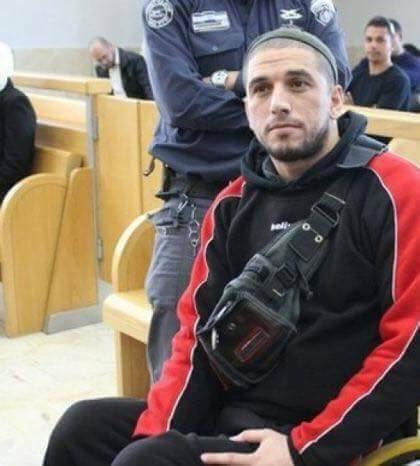 He said the Israeli prison authorities continue to refuse his appeals to be transferred to Section 1 of the prison where the doors of the toilets are suitable for wheelchair access. The detainee said he has been incarcerated in an isolated cell, where the conditions of his captivity are dire. He vowed to keep up his hunger strike until his demands are met. The Prisoners’ Commission voiced deep concern over the detainee’s fate, calling on the Israeli occupation authorities to urgently release him. Over the past six years, As’ad has been hospitalized at the Ramla prison clinic. His sentence is expected to be ended by June. Israeli soldiers abducted, on Tuesday at dawn, eight young Palestinian men, including a former political prisoner, from several parts of occupied East Jerusalem. Several army jeeps invaded the al-‘Isawiya town, in Jerusalem, searched homes and abducted Ali Sufian Obeid and Ahmad Essam Darwish. The soldiers also invaded the home of former political prisoner Obeida Amira, 30, in Sur Baher town, southeast of Jerusalem, and abducted him, in addition to abducting his uncles Ahmad Amira and Amira Amira, who rushed to his home after hearing a commotion in the property. The soldiers assaulted them with clubs and taser guns, before abducting them, and took them to an interrogation facility. Furthermore, the soldiers stormed and ransacked many homes in the town, and interrogated dozens of residents, in addition to shutting down several gas stations in Hizma nearby town. The two towns have been under siege for the past ten weeks, in addition to constant invasions of homes and properties, as part of illegal collective measures imposed by the army to stop the ongoing protests. In addition, the soldiers abducted Adam Shafiq Obeid, Ali Sufian Obeid, Amin Hamed and Ahmad Essam Darwish, from their homes in the al-‘Isawiya town. The soldiers also abducted Roshdi Yasser Khatib from his home in Hizma town. A number of Palestinians were kidnapped by the Israeli occupation forces (IOF) at daybreak Tuesday in abduction sweeps rocking the West Bank and Jerusalem. 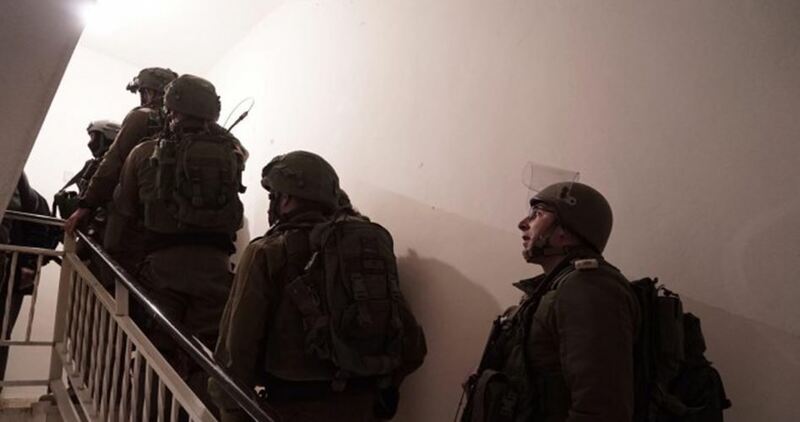 The occupation army claimed responsibility for the abduction of four Palestinians overnight on allegations of involvement in anti-occupation activities. The Israeli military further alleged that a Carlo gun was detected in al-Khalil’s southern town of Yatta. 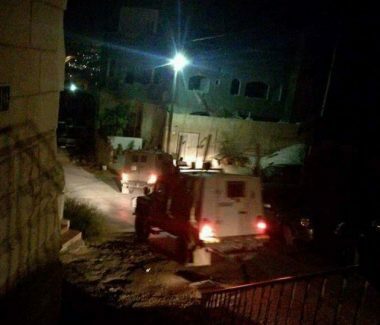 The IOF also stormed the home of the two ex-prisoners Alaa Za’aqiq and Sufian Bahar, before they summoned them to questioning at the Etzion detention center. At predawn time, the occupation forces sealed off northern Halhul with a makeshift checkpoint, where Palestinian civilians and drivers have been made to endure intensive inspection. At the same time, two Palestinian young men were kidnapped by the IOF from Rima town, in Ramallah. Another was kidnapped from his home in Qalqilya’s eastern town of Azzoun. The campaign culminated in the abduction of the injured Palestinian youth Roshdi al-Khatib from Jerusalem’s town of Hizma and four others from al-Issawiya town. Meanwhile, late on Monday evening, Israeli settlers attacked Palestinian vehicles and property in Nablus. According to eye-witnesses, Israeli vandals hurled rocks at Palestinian cars in the presence of heavily-armed Israeli patrols. Several Palestinian cars sustained material damage as a result of the assault—the second of its kind over the past couple of days. The Israeli military court at the Mascoubiya detention center extended the remand of 24-year-old Omar al-Kiswani for another eight days. According to the Palestinian Prisoners Society (PPS), al-Kiswani has had his detention extended for the fifth consecutive time under the guise of investigation procedures. 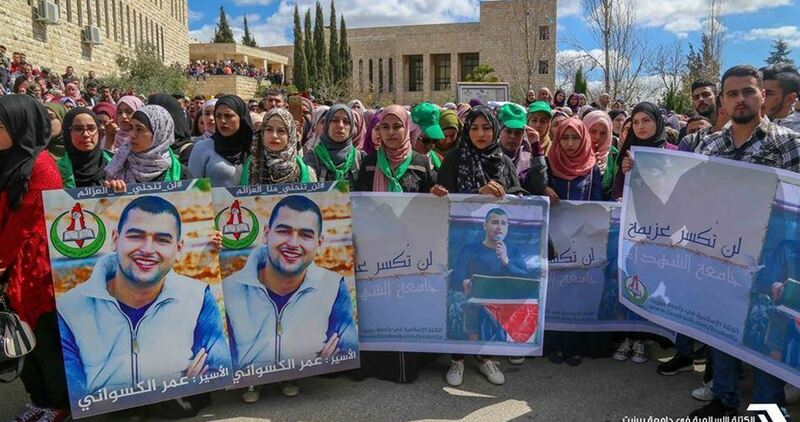 Al-Kiswani has been made to endure harsh treatment and psycho-physical torture in Israeli dungeons ever since he was kidnapped by the occupation forces on March 7 from Birzeit University, PPS added. The detainee had reportedly gone through a 14-day hunger strike to protest his abject detention conditions. 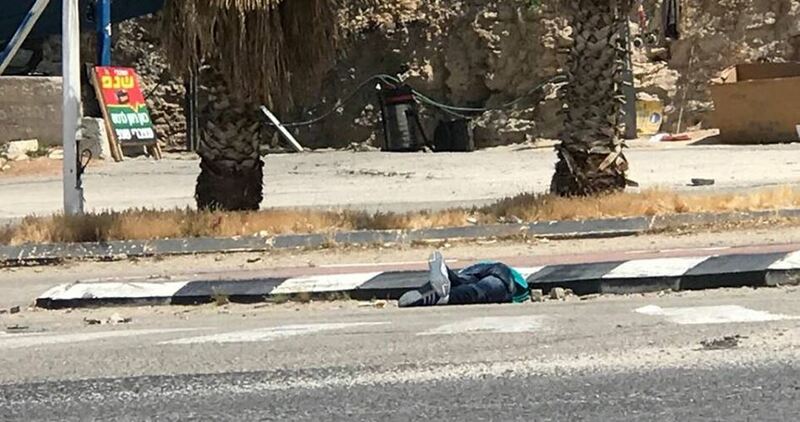 The Israeli Occupation Forces (IOF) shot and injured a Palestinian minor as clashes broke out on Monday afternoon in Tel town southwest of Nablus, to the north of West Bank. Local sources told PIC reporter that the clashes erupted between dozens of local youths and Israeli forces amid heavy fire of live and rubber bullets. During the clashes, the minor Moemen Khufash was shot and injured in his thigh. He was later taken to hospital. Meanwhile, two Palestinian youths were arrested at the entrance to Arroub refugee camp, north of al-Khalil, for allegedly stoning a settler’s car. The two detainees were taken handcuffed to a nearby military tower. Israeli soldiers abducted, on Monday ay dawn, fifteen Palestinians, including two women, and a former government Minister, from their homes in several parts of the occupied West Bank. In Ramallah, in central West Bank, the soldiers invaded Budrus village, west of the city, searched homes and abducted a woman, identified as Ibtisam Abdul-Hamid. The soldiers interrogated the woman and her family, during very violent searches of their home, causing excessive damage. Several Palestinians also scuffled with the soldiers while trying to stop their violent searches, and field interrogations. In Jenin, in northern West Bank, the soldiers abducted Abdul-Jabbar Jarrar, 55, after storming his home in the city, and attacking him along with his family. The soldiers also detonated the main door leading to his home, before storming it. It is worth mentioning that Jarrar, a school teacher, is a former political prisoner who spent ten years in Israeli detention center. In addition, the soldiers invaded the home of former government minister, Wasfi Kabaha, and interrogated him and his son, Osama; both former political detainees who were recently released from prison. On his Facebook page, Kabaha said that the soldiers detained his family in one room, while searching and ransacking the property for more than one hour, causing excessive damage. In Nablus, in northern West Bank, the soldiers also invaded and ransacked homes in the governorate, and abducted Awadallah Eshteyya, from Salem town, east of the city, and summoned his brother, Adam, for interrogation. The soldiers also abducted two former political prisoners, identified as Aseed Abdul-Jalil Eshteyya and Omran Khaled Eshteyya, from Salem, in addition to Wasim Haitham Ennab from his home in Nablus city. Israeli soldiers abducted, on Monday at dawn, six Palestinians in the northern West Bank governorates of Qalqilia, Nablus and Jenin, after the army stormed and ransacked many homes and interrogated several Palestinians. Several army jeeps invaded Qalqilia city, and abducted Mahmoud As’ad Yassin, and former political prisoner Mahmoud Khadraj, after searching and ransacking their homes. In addition, the soldiers invaded Salem village, east of Nablus, also searched homes and abducted Awadallah Jamil Eshteyya, Omran Khaled Eshteyya and Aseed Abdul-Jalil Eshteyya. In Tulkarem, the soldiers invaded Shweika area, north of the city, searched homes and abducted Hammouda Forsan Na’alwa. 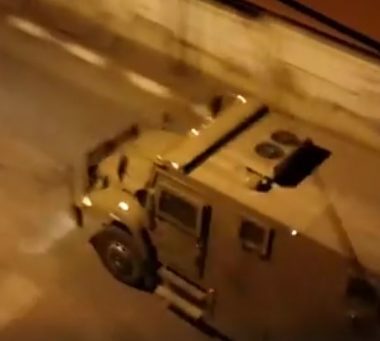 Israeli soldiers invaded, on Monday at dawn, Jenin city, in northern West Bank, abducted a former political prisoner, in addition to breaking into the home of a former government minister, before interrogating him and his son. The Jenin office of the Palestinian Prisoners’ Society (PPS) said the soldiers abducted former political prisoner, Abdul-Jabbar Mohammad Jarrar, 52, after detonating the front door of his home and ransacking the property. The soldiers cuffed and blindfolded the Palestinian man, before moving him to an unknown destination. In related news, the soldiers detonated the main door of the home of former government minister, former political prisoner Wasfi Kabaha, in the al-Basateen neighborhood in Jenin city, and interrogated him along with his son, Osama. The Israeli occupation authority (IOA) on Sunday afternoon released Palestinian lawmaker Mohamed Bader after he completed his prison sentence. According to a reporter for the Palestinian Information Center (PIC), the Israeli prison service released MP Bader after he was jailed in Ofer prison for 10 and a half months and forced to pay $15,000. Several relatives, friends and fellow lawmakers received him following his release at the main entrance to al-Khalil city. 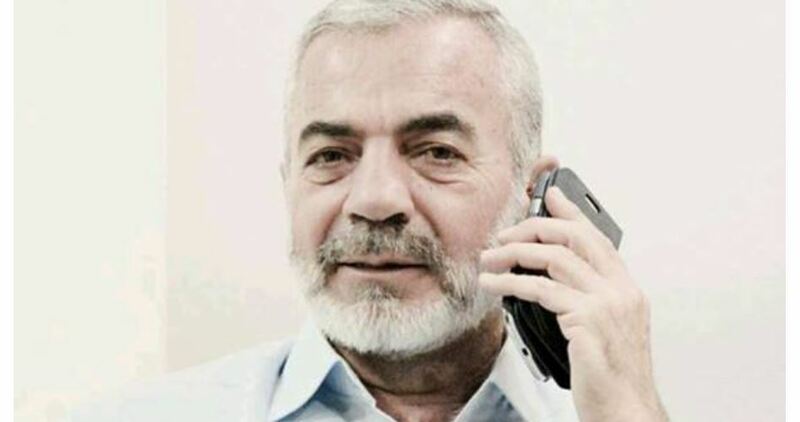 MP Bader, a prominent Hamas official, had spent a total of 12 years in Israeli jails, and he was one of those Palestinians who were exiled by Israel in 1992 to Marj al-Zohour area in South Lebanon. Media spokesman for the Palestinian Prisoners Center for Studies Riyad al-Ashqar on Saturday accused the Israeli occupation authorities of pursuing a slow death policy against sick prisoners by denying them treatment or delaying urgent medical examinations. In statements made on World Health Day, al-Ashqar said that international health organizations must intervene to save the life of Palestinian prisoners who are deprived of one of their most basic rights. 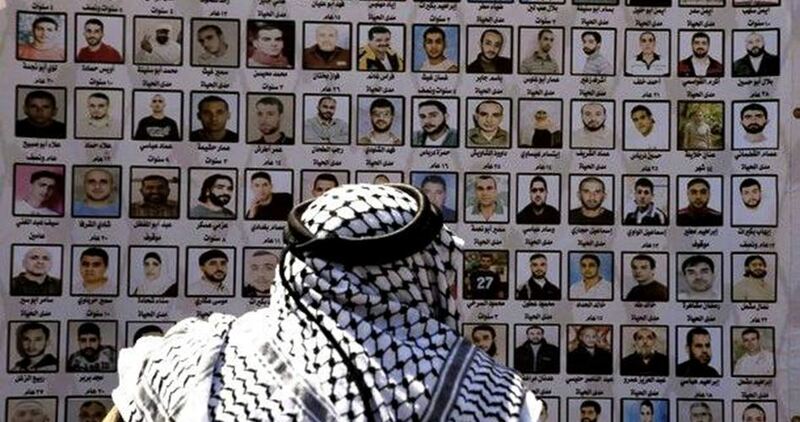 Al-Ashqar added that there are 6,500 Palestinian prisoners incarcerated in Israeli jails, 17% of whom suffer from various diseases, and most of them face the risk of death at any moment due to medical negligence, including 22 cancer patients. He warned that Palestinian sick prisoners are being subjected to a real massacre as they do not receive the necessary medical care and have their surgeries and medical examinations delayed several times and sometime for years, which lead to incurable deterioration in their health conditions. He renewed his call on international community and world health organizations to break their silence and pressure Israel to provide the needed treatment to sick prisoners before there is no hope for recovery. Israeli soldiers at noontime Sunday opened fire at a Palestinian youth on claims that he attempted to carry out an anti-occupation stabbing attack near Maaleh Adumim illegal settlement. According to eye-witnesses, Israeli officers shot and injured a young man as he showed up near the main entrance to Maaleh Adumim outpost. No details have yet emerged about the conditions and identity of the victim. Israeli army and police have frequently opened fire at Palestinians under the guise of attempted stabbing or car-ramming attacks. 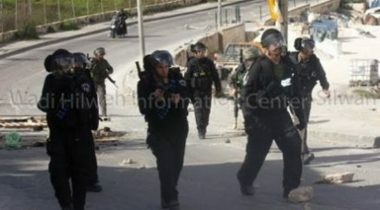 Several investigations opened following such incidents prove the Palestinians posed no threat to the occupation forces. 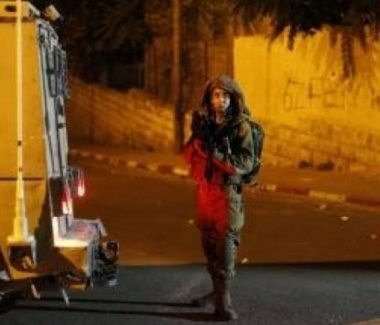 Israeli soldiers abducted, from Saturday evening until Sunday at dawn, 28 Palestinians, from their homes in several parts of the occupied West Bank, including occupied East Jerusalem. The Israeli army issued a press release stating that its soldiers “arrested 28 wanted Palestinians,” and moved them to several detention and interrogation centers. In Bethlehem, the soldiers abducted Sufian Amer Ta’amra, 21, from his home in Beit Ta’mar area, east of Bethlehem, after invading his family’s home and violently searching it. 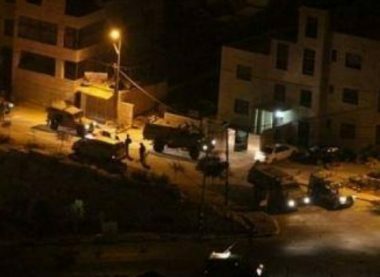 The soldiers also invaded the al-‘Azza refugee camp, north of Bethlehem, searched homes and summoned Suleiman Abdul-Karim al-‘Ajouz, 24, for interrogation in Etzion military base and security center, north of Bethlehem. In Hebron, in the southern part of the West Bank, the soldiers invaded many homes in the al-Fawwar refugee camp, south of the city, and searched them before abducting Rida Monir Miqbil, 17. Furthermore, the soldiers closed the northern entrance of Azzoun town, east of the northern West Bank city of Qalqilia, and assaulted many Palestinians. The soldiers closed the iron gate which was installed at the entrance of the town and preventing the Palestinians from entering or leaving it. They also invaded many homes and searched them, while interrogating the Palestinians and investigating their ID cards, in addition to confiscating surveillance recordings and equipment. In occupied Jerusalem, the soldiers invaded and ransacked many homes in the al-‘Isawiya town, and abducted Amir Khaldoun Mustafa, Ahmad Amer Mahmoud and Mohammad Ayman ‘Obeid. On Saturday evening, the soldiers abducted Monir Dari, 15, Fahed Amin al-Qaisi, 17, and Majd Hatem Shalalda, 18. 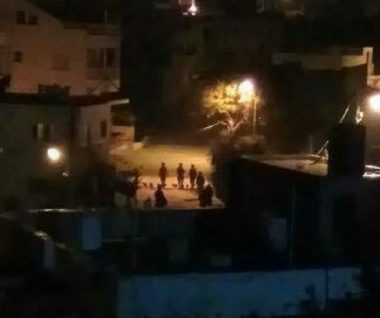 The Wadi Hilweh Information Center in Silwan (Silwanic) said the three teenagers were cuffed and blindfolded, before the soldiers moved them to the al-Maskobiyya detention and interrogation center, in West Jerusalem. On its part, the Detainees Center for Studies has reported that the soldiers have abducted 550 Palestinians, including 105 children and twenty women, in March. Israeli soldiers abducted, on Sunday at dawn, three Palestinians from their homes in the al-‘Isawiya town, in occupied Jerusalem. 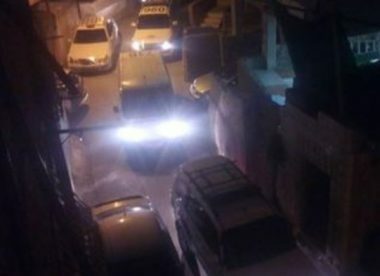 Three other Palestinians, including two children, were abducted from their homes in the town, on Saturday evening. Media sources in Jerusalem said the soldiers invaded and ransacked many homes in the town, and abducted Amir Khaldoun Mustafa, Ahmad Amer Mahmoud and Mohammad Ayman ‘Obeid. They were interrogated for what the soldiers claim “throwing stones and Molotov cocktails” at army jeeps. They were not accompanied by an adult or had a lawyer representing them during interrogation. Israeli soldiers abducted, on Sunday at dawn, one Palestinian, and summoned another for interrogation, in the West Bank governorate of Bethlehem. Media sources in Bethlehem said the soldiers abducted Sufian Amer Ta’amra, 21, from his home in Beit Ta’mar area, east of Bethlehem, after invading his family’s home and violently searching it. They added that the soldiers also invaded the al-‘Azza refugee camp, north of Bethlehem, searched homes and summoned Suleiman Abdul-Karim al-‘Ajouz, 24, for interrogation in Etzion military base and security center, north of Bethlehem.